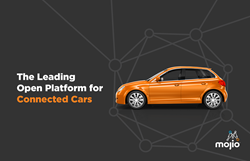 Founded in 2012, Mojio is the leading open platform for connected cars. Trusted by the world’s top wireless operators, including Deutsche Telekom and T-Mobile, Mojio is the platform of choice for scalable deployment of secure connected car apps and services for enterprise customers, including wireless operators, auto manufacturers, car dealers, insurers and fleets. Mojio is hiring for exciting positions in Palo Alto, Prague and Vancouver! For more information, visit http://www.moj.io. For career opportunities, visit Mojio on LinkedIn. Can Amazon Echo (and Alexa) speak like a Brit?